If you are looking to invest some money into skincare, I would highly recommend that the product you do this on would be a serum. I admittedly never even used to use a serum in my skincare routine and now I couldn’t think of not using one. I’d even swap it out for a moisturiser if I had to make the choice. I think they really benefit my skin and have noticed vast improvements from them, examples include Nip & Fab Glycolic Serum or the Herbalife Serum also. That said it doesn’t mean you have to spend the earth on one, but if you were looking to spend a little more, I’ve put four of the top luxury serums to the test to see how they faired. Let’s just put it out there, this is the most expensive serum I have probably ever used/tried in my life. At £195 a bottle it’s definitely in the luxury end of the scale. The serum comes in a shiny silver bottle, with a really easy to use pump. La Prairie say that the serum is their ‘most accelerated wrinkle interceptor yet’ and claim that within two weeks you will notice a visible difference in lines and wrinkles and also a brighter complexion. It does this by delivering anti-wrinkle peptides where needed to reduce wrinkle depth, helps hydration of the skin and also exfoliates to minimise pores. Application is twice daily AM/PM after cleansing and toning so it’s really easy to fit into your skincare routine. For me I have a few light wrinkles on my forehead so it’s hard to gauge the difference, but I guess this is why you should start using anti-aging now for prevention rather than cure. It has a slight orange tint to it, but goes on the face clear. I wasn’t too keen on the smell of it to be honest, pretty floral and a bit ‘granny’. The application was easy however and felt quite hydrating on the skin, not sticky and dried in quickly. I put this to the test for two weeks and I was hoping for some miraculous results, but I haven’t really noticed any. Any fine lines are still there and the radiance, nothing to write home about. Maybe you would need to use this over a long period of time as I did think two weeks was a bit of a big claim, but for me I wouldn’t be adding it to my repurchase list. La Prairie Anti-Aging Rapid Response Booster is £195 available from John lewis. 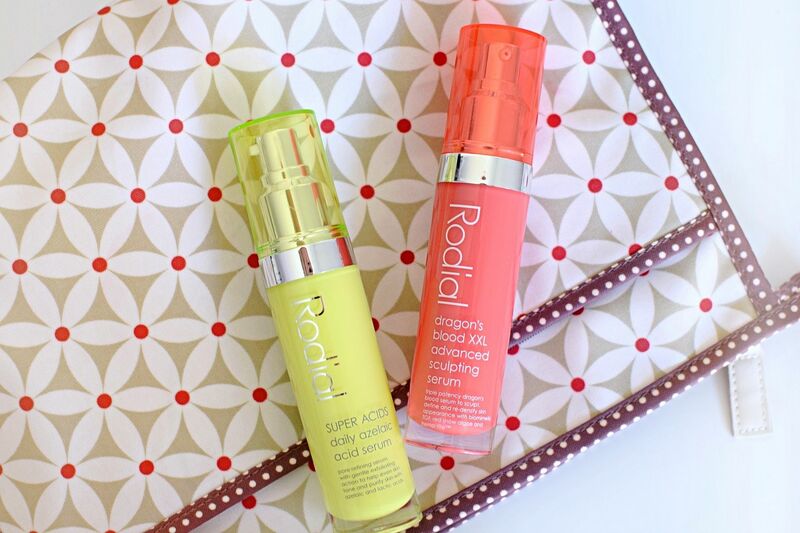 Rodial have added two serums to the popular Dragon’s Blood and Super Acid ranges. The Dragon’s Blood XXL £125 is a sculpting serum, you may have seen me use it in my how to contour video. This is great for hydrating the face as it is pumped full of hyaluronic acid, I basically just look for any product with this ingredient for my skin type. The idea behind this one is to sculpt the face, picture a Kim Kardashian vampire facelift, without the needles or the pain. It has a combination of ingredients including wheat proteins for firmer skin, red snow algae to improve skin’s resistance against external stress factors and hema’Tite™ optimizes skin’s youthful appearance for a more ‘plumped up’ look. I am a big fan of Rodial’s Dragon Blood range and this is another great addition that I could definitely see myself adding into my daily routine, it felt lovely on and I noticed an improvement in the hydration side of things. Alongside the Dragon’s Blood serum, Rodial have also just added the Super Acids Daily Azelaic Serum £78. 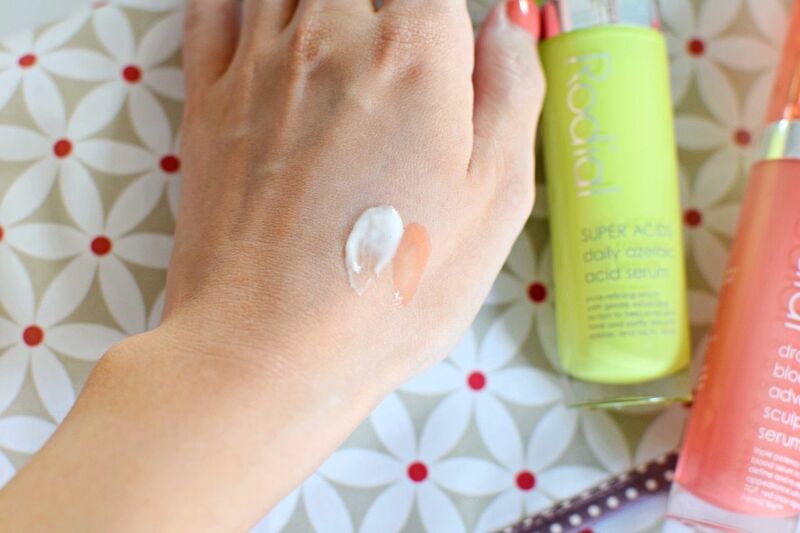 This one is designed to refine pores, even skin tone and purify skin. The liquorice extract helps even skin tone and brighten complexion, probiotics help strengthen and protect skin from external aggressions and also boost hydration, whilst azelaic acid refines pores. This one is more white in colour as the Dragon’s Blood has an orange formula. They both go on clear however and sink into the skin straight away. You can apply the serums one after the other too, to get the benefits of both, so no need to just decide on one. I really enjoyed using both of these and the layering technique worked well, plus I definitely saw my skin looking less dull after these. Both serums are available from Space NK. When I said earlier I could swap out a moisturiser for a serum, I would probably be choosing this one. The texture of Beauty Lab’s Black Diamond serum actually feels more on the moisturiser side of things. 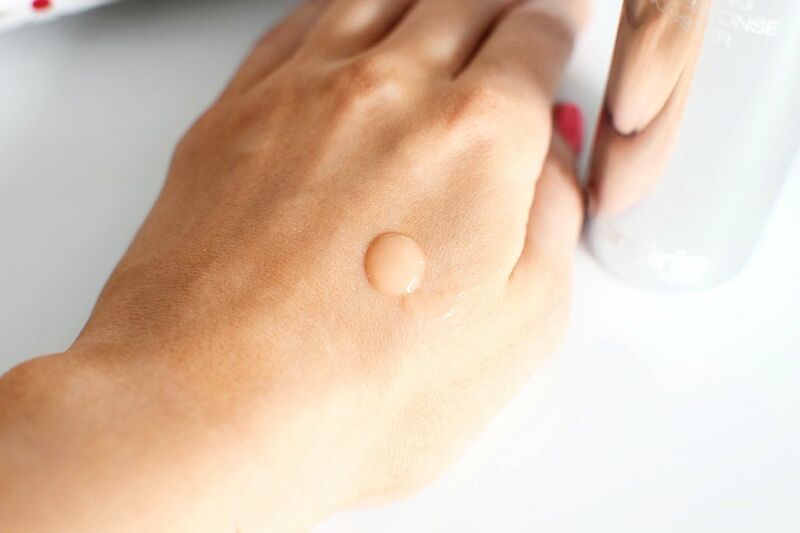 It felt absolutely lovely on and straight away from just putting it on my skin, I noticed it had a slight glow, a bit like using a moisturiser designed for under make-up. I’m not sure if it’s even meant to do this but I was pretty excited. Long term benefits, this serum is to reduce lines and wrinkles and again bring back radiance to the skin. This little bottle is packed with black diamond, hexapeptide, copper peptide and sea algae which is great for skin and helps to hydrate and soften. I really loved using Beauty Lab’s skin perfecting moisturise cream and this was no exception a truly fantastic serum. 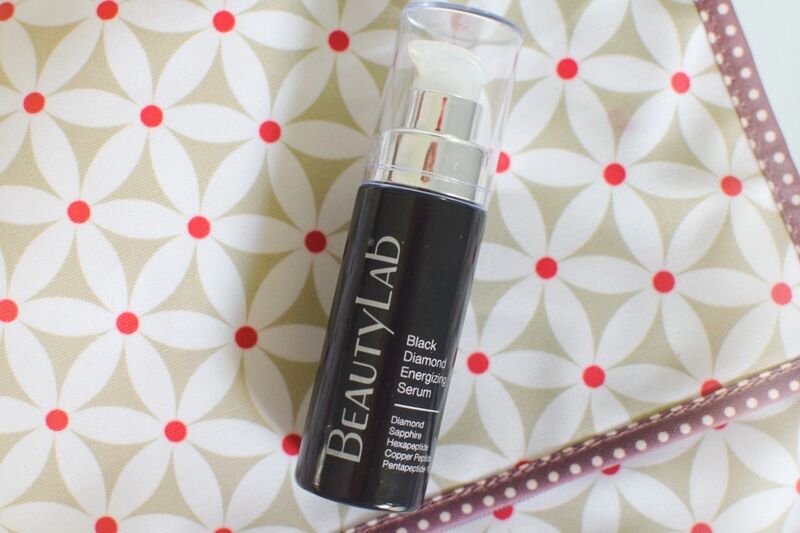 Beauty Lab Black Diamond serum is £90 available from Harvey Nichols.